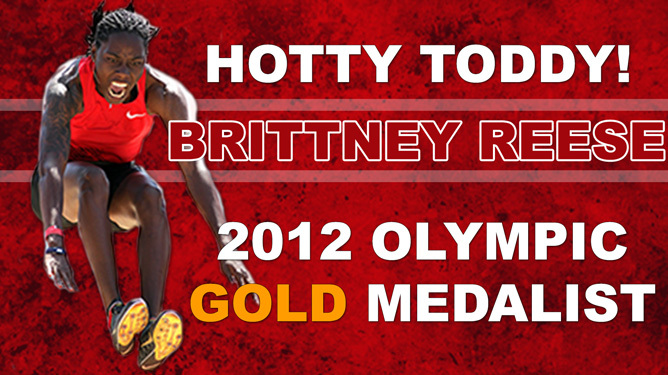 Former Ole Miss Rebel Brittney Reese jumped 7.12 meters to win gold at the 2012 Summer Olympics — the equivalent of three Harley Davidson Sportsters lined up wheel-to-wheel or two Mini Coopers parked bumper-to-bumper. Reese was joined in London by former Ole Miss track coach Joe Walker, who retired this year. With the exception of 2004, Walker has had one of his athletes compete in every Summer Olympic Games since 1976. If it hadn’t been for a bet with her high school coach, Reese may not have discovered her amazing talent. Reese joined Ole Miss rising senior Isiah Young who competed in the 200 meter event at the London games. The two of them join former UM greats Savante Stringfellow (2000), Tony Dees (1992) and Gary Kinder (1988) as the only five track athletes in school history to compete for the U.S. in the Olympic Games. Former Rebels Alvin Haynes (1992) and Allan Ince (1988) both competed in the Olympic Games for Barbados. The long jump has been part of modern Olympic competition since the inception of the games in 1896. The 2008 games in China mark the 80th anniversary of women being allowed to compete in the long jump at the Olympic level.